Many of us simply keep using the same insurance company, card or savings account without looking at whether we can pay less or get more as time passes. Yes, old habits die hard. These days, with comparison websites making it easier to evaluate costs and benefits, you can gain a lot by using online tools to check out alternatives. While they might seem like a recent phenomenon, comparison websites here started about a decade ago with sites such as MoneyIQ, which helps people find better mortgages. Along with saving money by using sites that compare financial products, you may also use comparison websites to check on everything from travel to shopping and restaurant deals. 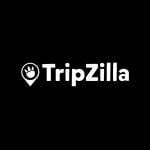 Tripzilla, for example, bills itself as a one-stop travel portal that provides information about tour packages and budget flights from major travel suppliers in Singapore. Fave — formerly Groupon — and Singapore Promotions offer plenty of daily deals that can save you money. Along with providing price comparisons, many of the sites have blogs or articles that offer advice about finances or other topics. Tripzilla has a slew of articles about destinations, while SingSaver has articles on more than two dozen topics and ValuePenguin has guides that can help consumers make better financial decisions.